Finally, we were on the last leg home from the Mid-Ohio Formula Atlantic race. Since we hadn’t eaten a real meal since Monday morning’s breakfast, we stocked up on Cokes, chocolate chip cookies, and potato chips at the next gas stop. Then we crossed our fingers that we’d make it through the home stretch without too many more problems. Almost 1,200 miles to go. Please? Flat tire. Yep, one more. But this time it was on The Tent-Trailer. Given the fact that those tiny wheels turn about four times faster than the truck’s tires, I was surprised we hadn’t had more problems with them. The good news was The Tent-Trailer had a spare, so we changed it and got back on the road. Now we had less than ten dollars in cash, the still-maxed-out credit card, the gas card, no spare tires for either The Truck or Tent-Trailer, and only 500 miles or so to go. Hey, Umatilla, Oregon! Heading northwest though Oregon, we drove right past the racetrack I’d gone to with my dad when I was just a kid. It’s a small world. Well, except this time we were driving The Truck, a more ungainly ride. But I did think back to that night when I was ten years old. If only I could lie on the floor behind the front seats of our old Ford Galaxie again, feel the warmth of the floorboard and my family, and have a good sleep. If only I didn’t have to drive The Truck on this trip ever again. With just a couple of dollars left in my pocket, we pulled up and parked The Truck and Tent-Trailer in front of Tom’s house. The scars on Gord’s hand from the winch incident five weeks ago were nearly gone. I crawled into my rusted-out beater Honda (the one that had been given to me when I sold my Mazda RX-7 to pay for the engine for the race car), went home, and slept. And slept. And then slept some more. Late the following day, I was back at Tom’s to begin preparing the car for the next race. It’s funny how one mega-sleep erased those “I’ll never do that again” thoughts. I was pretty sure I was even able to stand without hunching over. My bleak emotional load was quickly lifting and I was already thinking about the next race in Elkhart Lake, Wisconsin. This trip held a number of firsts for me: First time driving across the country with mono, first time I’d had a good conversation with a truckload of chickens, first time a professional race driver competing at the Canadian Grand Prix event had slept at the track in a tent trailer (I’m pretty sure), first time I’d ridden a public transit bus, first time I’d hopped a train, first time I’d hailed a cab on the street, first time I’d hitchhiked, first time I’d been offered to lie down in a bus full of dog turds, first time I’d paid one-tenth of what a repair service was worth, and the first time I’d had five flat tires in one trip. And the first time I’d felt totally drained, physically, mentally, emotionally, and monetarily. But not the last time. Oh, and if I ever meet Bruce Springsteen, the first thing I’m going to say to him is, “Thanks for making The River a double album.” Gord had recorded a cassette (remember them?) version of that album just before we left, and we must have listened to it at least a hundred times during that five-week period. 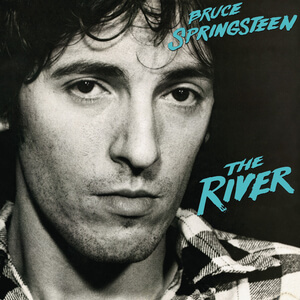 If The River had been a single album, we would have had to listen to it two hundred times!